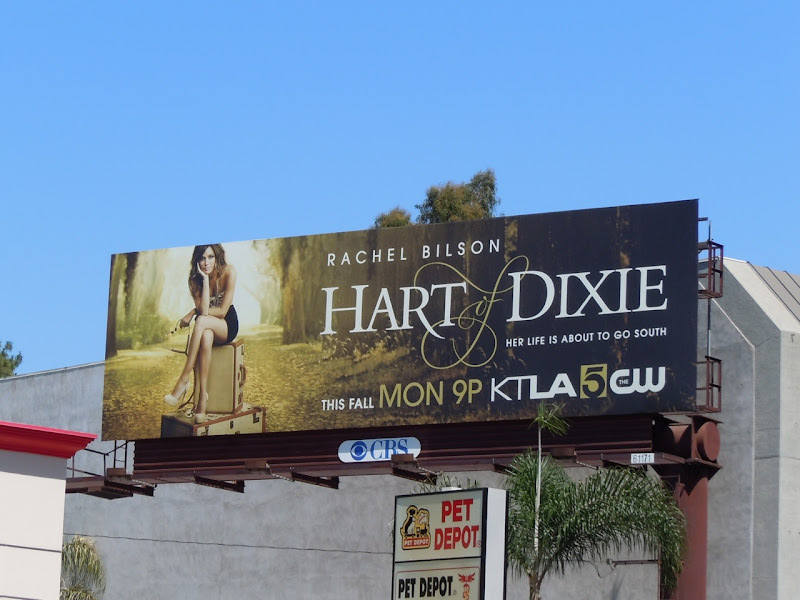 This Fall television season saw Rachel Bilson channeling a Sweet Home Alabama vibe in this billboard for her new show Hart of Dixie. The new series follows new Doctor, 'Zoe Hart', as she leaves fast-paced New York City for a small town practice in Bluebell, Alabama. 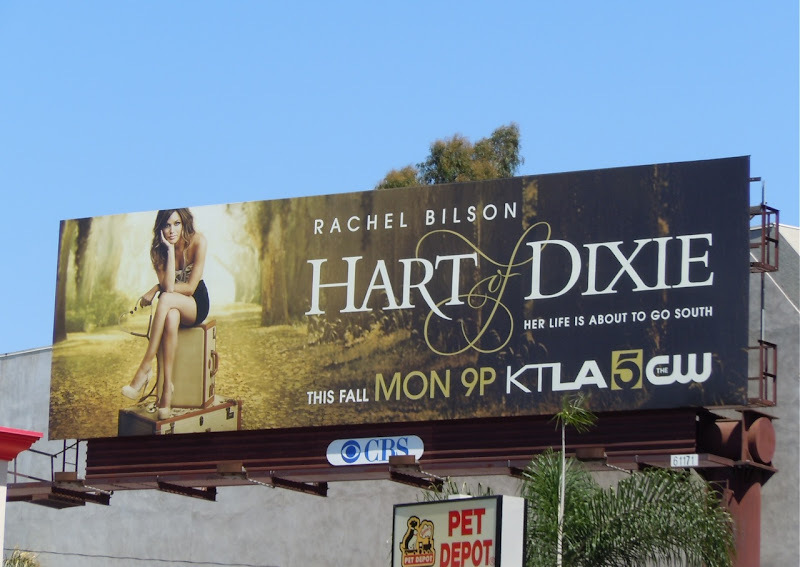 This new season TV billboard, with the cute heart-shaped stethoscope touch, was snapped along Wilshire Boulevard at Centinela Avenue on August 28, 2011. How long will it survive and will we ever see a second season billboard? 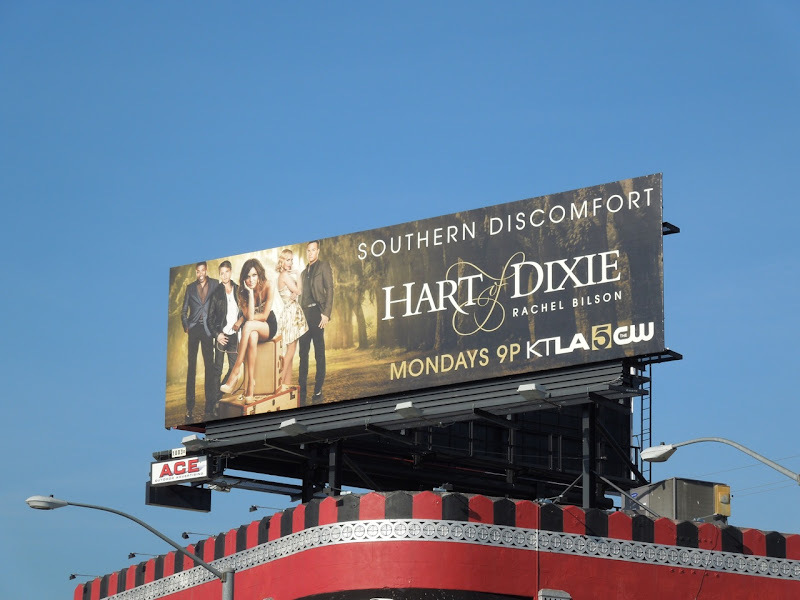 UPDATED: It looks like The CW believes in Hart of Dixie as Daily Billboard spied this new mid-season billboard along Sunset Boulevard on December 30, 2011. 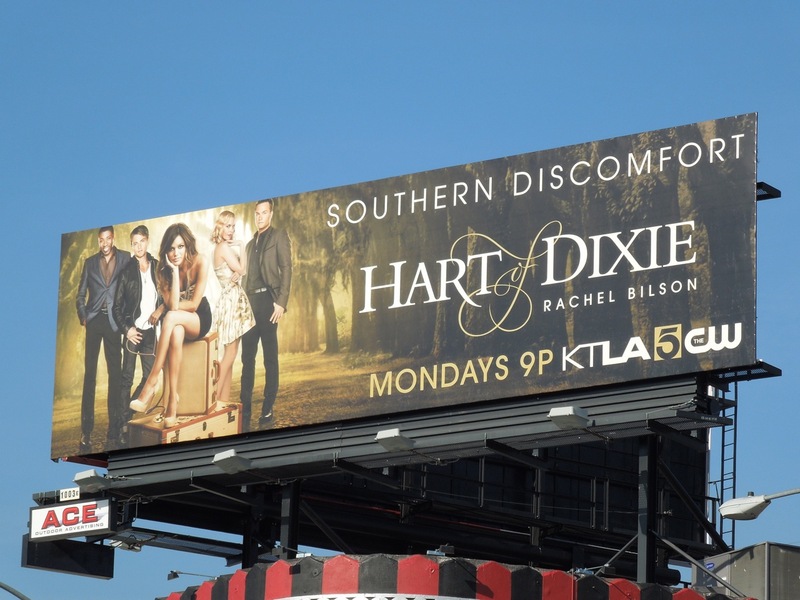 The adapted ad shows Rachel Bilson sharing the spotlight with more of the cast from the first season, with the witty 'Southern discomfort' tagline.